This Sunday I will be running for cookies instead of running for wine. I did a post last week on my brave cousin Lana's battle with cancer and shared how you and your family can take part in ASICS #RUN4COOKIES day (click here for more info). We found out yesterday that Lana's cancer is back and it's very aggressive. It's been a very difficult time for my family and my heart is broken. From the Team Lana facebook page: "Please keep our Sweet Lana in your deepest prayers. Mark and Allison received the devastating news that her cancer is back and bigger than before. 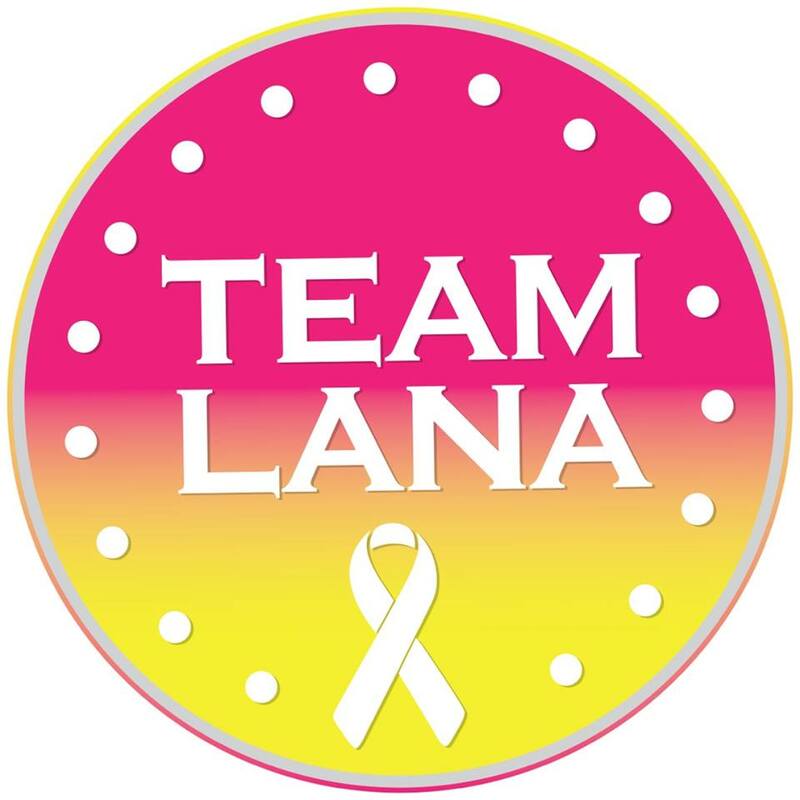 Lana will start chemo tomorrow. Our hearts are surely broken. Thanks in advance for your prayers and support for such an amazing little girl." 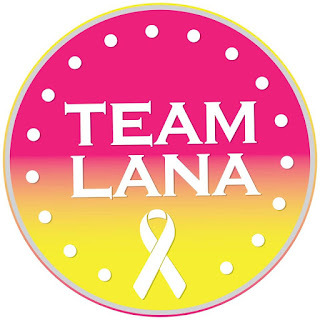 So on Sunday, I will be running for Lana and I hope you will too. Tweet and Instagram your fitness activity with the hashtag #Run4Cookies on National Pediatric Cancer Day, September 13th. 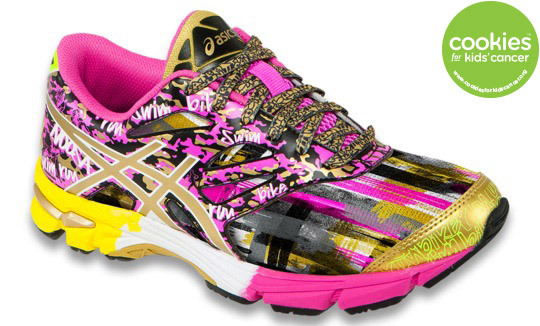 ASICS donated a pair of children 's size 5 limited edition GEL-Noosa Tri 10 Gold Ribbon Limited Edition shoes and I am giving them away to a reader. This shoe was designed to raise money for Pediatric Cancer Research and $10 from the sale of every pair goes to the Cookies for Kids Cancer Charity. ASICS will donate a minimum of $100,000 to $150,000. The new GEL-Noosa Tri™ 10 GS blasts into action with a fun new upper featuring Seamless Construction and Glow-in-the Dark Print. The Rearfoot GEL® Cushioning System and a Reinforced Stitched Toe ensure comfort and durability that is sure to keep step with the speediest of young runners. Megan, I am so sorry to hear this. Your family will be in our thoughts and prayers.